You don’t know how to curl!! You know how to make a billion dollars as a personal trainer in NYC or anywhere else? Build big arms! 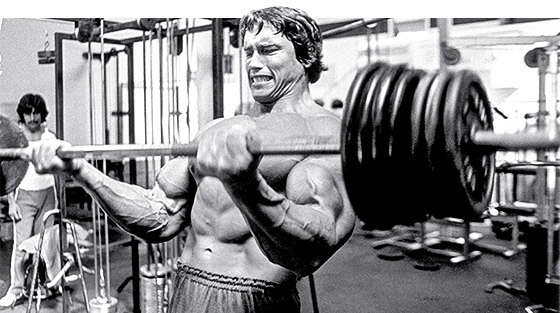 Therefore, today we’ll chat about one of the coolest yet most misunderstood exercises ever…the CURL. The basic barbell curl that is. Even tough it is being done over and over, all across America, most people still get it wrong and a sad result: no gainz, but many inflamed elbows. Here is my 10-point hit list for bigger biceps! 1. You must start with the the arms fully extended, ideally even flex the triceps to create maximum length in the biceps. 2. Always attempt to break the bar into two pieces by turning the hands outward. Once you can actually break the bar, I will personally send you a box of Quest bars. 3. Tuck your abs in a bit to create maximum tension. 4. Place the thumb under the bar; the thumb has pulling power as well. Once you fatigue, you may shift it back over the bar to get some additional reps.
6. As you curl up, the shoulder positioning changes. In a nutshell, in order to follow gravity, the shoulders must move forward as you cross 90 degrees, thereby allowing you a full contraction on top. 7. The elbows also move away from the body, remember we are curling a barbell not at the cable, so in order to make up for the curve we need to move them away from the rib cage as we go up. 8. In order to gain mass on the arms you’ll need to gain weight overall – think 15-20 lbs depending on height per inch on the bi’s. So make sure your diet is in check. 9. Zottman curls. A great exercise for people like me, who struggle with long forearms and weak wrists, resulting in puny arms since the brachioradialis never gets stimulated. Perform a regular curl during the concentric phase, twist the hand on top and lower the dumbbell into a 3-4 second negative reverse curl. This will allow you to overload the reverse curl part of the exercises without compromising form. 10. Drag curls. This does not refer to your choice of clothing, but to the fact that you will drag the barbell along the body, instead of having it out front. This will make for a better contraction on the top. I usually go about 30% lighter than on my regular barbell-curl barbell. Previous post: Functional Training- Fit or Fad??? Next post: I am too old to get in shape- really?? ?